Small, soft flakes fall quietly from above. It's snowing! People like to sled and ski in it, but what exactly is snow? How does it form? While it is believed that no two snowflakes look exactly alike, most have either six sides or six points. included in this crystal clear introduction to one of winter's wonders is information about different types of snowstorms, regions where snow falls, and how to prepare when a snowstorm approaches. 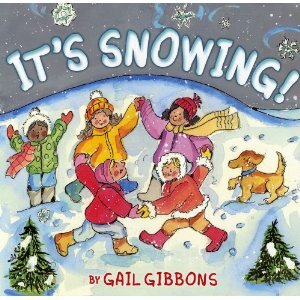 To purchase Gail Gibbons books visit your local bookstore.